Classes and teaching duties ended last week for the semester. Whew--it's been a whirlwind of a year! Over the past two days, I've attended Faculty Summer Institute; I'll be posting later on what I've gained from the conference. This week, as I've reflected on the last semester and classes I taught, I've been thinking of the new tools that I used to help manage class. Two of these are free apps that you might wish to use too. This is a free app available for the iPad and iPhone. If you're like me, you used to use popsicle or craft sticks, write students' names on them, and then randomly draw them to call on students. This worked pretty well, but I didn't like to carry the sticks around from class to class. And, frankly, it also felt a bit juvenile to do this at the college level. Pick a Student solves this problem. It's an app that allows you to add your class roster, and then you have a choice to randomly call on students, or call on them based on turns. This means that each student will get a turn before any student is picked again. Students know that I'm using this app, so this allows me to do cold call in a fair, reliable way. It keeps students on their toes, and I think they like the suspense and accountability. The trick is to make sure that randomly calling on students isn't a "gotcha". You can read more on cold calling in Doug Lemov's Teach Like a Champion. Using dice in class is a fun way to spice-up activities. Sometimes, I give students lists of questions, break those questions into groups of six, and have them only discuss the questions that correspond to the number they roll on the dice. Other times, I give them vocabulary words associated with numbers on the dice. If they roll that number, they have to use that word in a sentence. Finally, sometimes I have them work through vocabulary. If they roll a one, they have to give the definition. If they roll a two, they have to use the word in the word in a sentence. I assign different tasks to correspond with each number on the dice. However, often times, I don't have dice handy when I want to shake things up. This is where the Dice app comes in. It's a free app that I ask students to get. Once it is installed, they shake their phones to "roll" the dice. 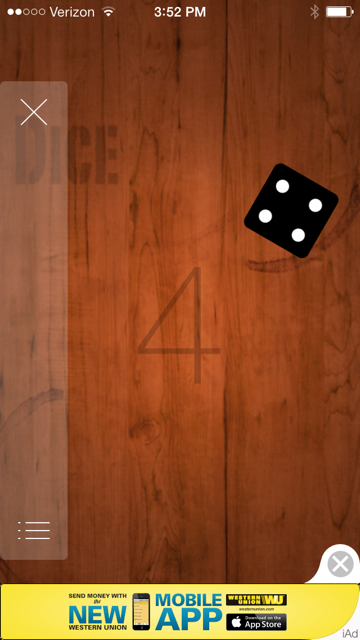 Most of the free dice apps allow users to pick the number of dice that they are rolling. I usually just suggest that students use one. These are two tools that I've relied on consistently throughout the semester. I think that they have sharpened my classes in small ways, and I'm thankful that I found them. Have you come across any simple apps that have worked wonders in the classroom?